A year after the death of Ezra Bessey of Hallowell, the Hearts for Ezra foundation fundraiser raises money and awareness to combat spinal muscular atrophy. FARMINGDALE — Two years ago Joyce Newman didn’t know Ethan or Emily Bessey and had never heard of spinal muscular atrophy. But on Sunday, Newman scurried around Hall-Dale High School for love of the Besseys and to help wipe the disease that turned their family’s life upside down. For more information on SMA or the Hearts for Ezra foundation visit on-line at HeartsForEzra.org. “This is about kids and helping someone not go through what they did with Ezra,” Newman said. That is the goal the Besseys, of Hallowell, established last year when their 8-month-old son, Ezra David, died just four months after his parents learned he had SMA, a genetic disease that leads to progressive degeneration of muscles connected to the spinal cord, including those associated with the respiratory and digestive systems. About 1 in 40 people are carriers of SMA and about 1 in 6,000 babies will be diagnosed. Friday marked the first anniversary of Ezra’s death. 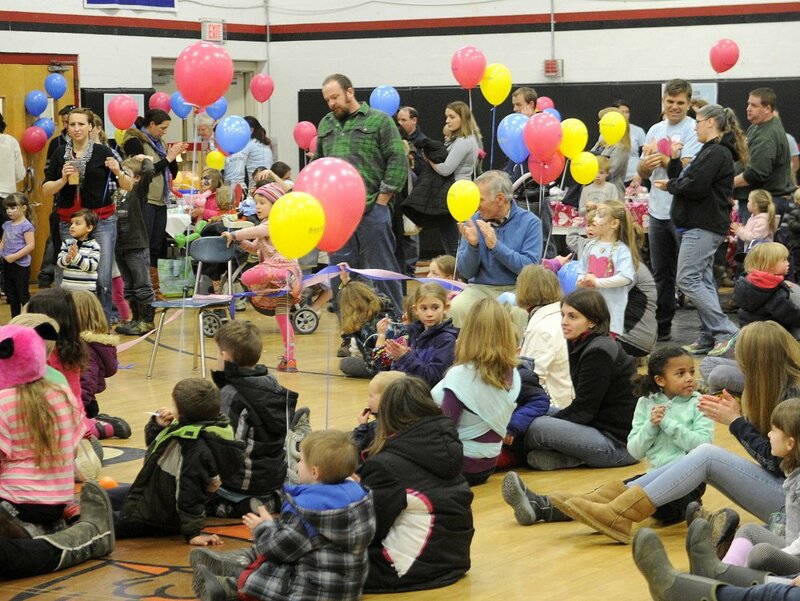 The Besseys and their 4-year-old daughter, Daisey, honored his memory by hosting the second annual Hearts for Ezra fundraiser at Hall-Dale High School. 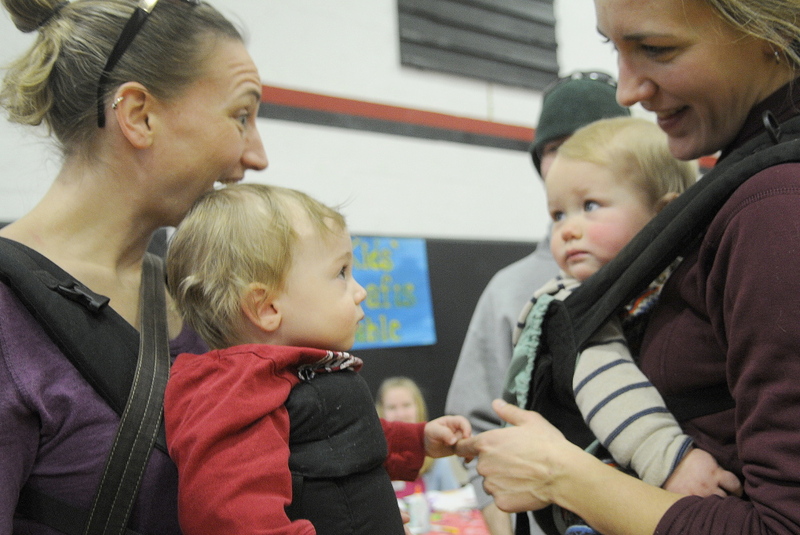 The event, which included an auction, bake sale and raffle, drew hundreds of people from across central Maine and beyond to enjoy a veritable entertainment smorgasboard for youngsters. The Snells made the drive to Farmingdale in order to introduce their daughter to the children’s tunes of Rick Charette, one of the acts that took part in the event. Like many who showed up, the Snells had never heard of SMA before attending. Their story, like countless others who learned of the disease through the Besseys’ effort, is the driving force behind Hearts for Ezra foundation. The Besseys have shared their message with anyone who will listen, and have even contacted physicians and pediatricians to encourage them to offer sscreenings to their patients, which the Besseys say are accessible and affordable. “Raising awareness is our biggest mission,” Ethan Bessey said. Loss, particularly when it’s a child, tends to draw a community around the grieving, but Ezra’s death perhaps struck a particular blow because Emily Bessey had so carefully and honestly documented the family’s journey on her blog. “Ethan and Emily have told their story so well,” Newman said. The Besseys moved into their Hallowell home, into the community, just a few days before Ezra was diagnosed with SMA. The parents were told he would likely never see his second birthday. Ezra died four months later. Newman, who lives next door to the Besseys — her son built the house in which the family now lives — said she was devastated by Ezra’s death from a death Newman had never heard mentioned until she heard of it from the Besseys. Newman responded to Ezra’s death by adopting as her own the passion of his parents to educate others about the disease. “Plus, I just love them to death,” Newman said. The Besseys say they have been overwhelmed by the outpouring of love and support from community members, like Newman, did not know the couple before they moved to town about 18 months ago. About 50 people volunteered for Sunday’s fundraiser and about 70 people and organizations donated items for the auction. There are five volunteers who meet with the Besseys a couple times a month throughout the year to carry out the work of the Hearts for Ezra foundation. The Besseys hoped that Ezra would attend last year’s fundraiser, but he died a month before it was held. The event was marked by an element of shared grief, Emily Bessey said. Since then the Hearts for Ezra foundation has completed a new website and recored a public service announcement in addition to its ongoing work. Keeping Ezra’s memory alive, the Besseys hope, will help hasten the day when no other family has to worry about losing a child to SMA. All of the money raised by the foundation goes to Families of SMA, which supports research aimed at curing SMA. Ethan Bessey said they’ve identified the cause of the disease and are closer to finding a cure for SMA than any other genetic disease. “Every bit we can give helps further research,” he said. Last year the Hearts for Ezra Foundation gave $5,000. 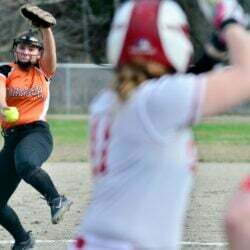 “We’d love to double that,” Emily Bessey said. Sarah Dunckel was pregnant last year when she and her husband, Tom Dix, attended last year’s Hearts for Ezra fundraiser. This year the couple’s 11-month old son, Samuel, rested in a sling over Dunckel’s shoulders. She said they first heard the Besseys’ story from a friend. Dunckel had never heard of SMA before she was introduced to Ezra’s story. Neither had her doctor. Ezra’s story has now lasted longer than his too-short life, but the work he inspired during those few months on earth has already done than even his parents could have imagined.